Although I wrote everything I know about squirrel issues for this website, oftentimes a problem with squirrels in the attic is beyond the scope of the do-it-yourself homeowner to solve. I have found a professional company in Bellingham, Washington that handles problems with wildlife. 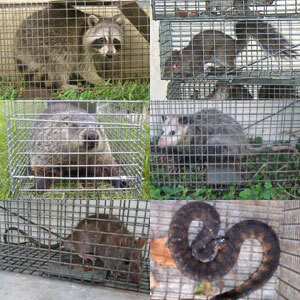 Pathfinder Wildlife Services has access to tools, techniques, and experience that help them do a far better job at wildlife removal than a non-experienced homeowner could. They possess licensing that allows them to do certain types of work legally, that non-licensed homeowners in the state of Washington are not allowed to do. For the welfare of your situation, and the squirrels, in some cases it's best to hire a pro. There are good companies and bad companies out there. I've done research on such companies, to get to know them, and feel confident recommending their services. I therefore recommend a company called Pathfinder Wildlife Services which services Bellingham, Washington. If you have a squirrel problem, or any other conflict with a wild animal, and live in Bellingham, I am confident that this company, Pathfinder Wildlife Services, is the one to call. I asked the company to describe their service range, and they said this - We also service the surrounding towns of Ferndale, Lynden, Birch Bay, Blaine, Laurel, Everson, Nooksack, Deming, Geneva, Sedro Woolley, Anacortes, Burlington, and Mount Vernon. Pathfinder Wildlife Services operates 24/7, so don't hesitate to call at any time to discuss your wildlife problem, and schedule an appointment for same-day or next-day service. Hi David, I have a squirrel problem in my roof. I don't have an attic the squirrel got into the soffit of the roof through a bird hole. I saw that squirrel work on the hole for about 2 days to make it big enough to get into. I live in the mountains near Bellinhgam WA and it is snowing now. I have a two story house so it is very difficult to get up to the roof line now because I don't trust a ladder with snow on the ground. I did get a Havahart live trap and know of a place to take the squirrel that is very far away. What I am concerned about is if it is a female and if there could be baby squirrels. Earlier, in the fall I watched the squirrels, 3 of them, chase each other around trees and my property. I saw this behavior a number of days. I have read about the gestation times for squirrels and what you have said on your website. I did call 2 professionals but one is in another county and the one that is closest to me is very busy and can't get to me for 3 to 4 weeks. And, of course, it is almost Thanksgiving and I was going to travel to have the holiday with family but now I am afraid to go because of what I my find when I get home. This squirrel has taken the hood insulation out of my car for its nest and I have a truck that doesn't run and it had a great pile of grass and insulation around the engine. I don't want to get my car fixed if the squirrel is still here because that would just be new material to take for the nest. I want to be kind so I just don't know what to do. I feel bad about relocating the squirrel in the winter but I don't want it in the roof or my house. And I worry about if there are babies. This is my dilemma. I hope you can give me some ideas so that this experience is the least traumatic for the squirrel and for me. My response: Probably no babies until February. If you don't want it messing with the car engine, you'll need to trap and relocate it. If you have a squirrel problem in Whatcom County Washington, or any other conflict with a wild animal, I am confident that we can solve it. We use humane methods when dealing with Bellingham wildlife removal situations. Squirrel Control Bellingham. Our company is fully licensed and insured in Washington. Call us any time at 360-707-7770 for a price quote and to schedule a same-day or next-day appointment to solve your squirrel problem in Bellingham.